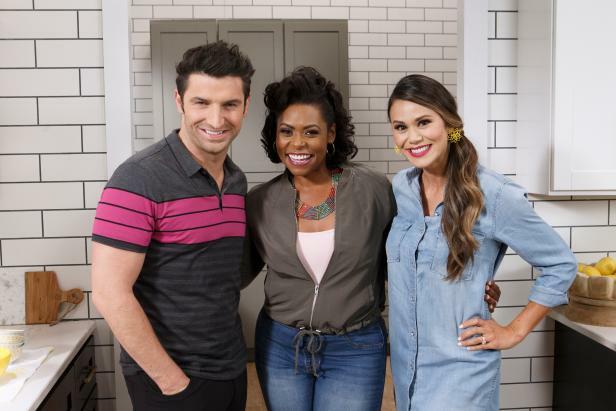 From flavorful dishes, to popular restaurant trends, and to the latest food fads captivating social media, Brandi Milloy, Stuart O’Keeffe, and Jamika Pessoa are breaking it all down on new daytime series “Let’s Eat,” premiering on Sunday, August 12th at 11am PT/ET. The trio of food-passionate hosts will be joined by special culinary guests, as well as experts from Food Network Kitchen, as they explore everything that is current in the culinary world, and share tips, tricks, and mouthwatering recipes to make your time in the kitchen a breeze. Stuart O’Keeffe is an accomplished celebrity and professional chef, known for his hearty but healthy meals. Growing up in Ireland, he first explored his passion for food while cooking alongside his mother. After graduating from high school, he attended culinary school at the Dublin Institute of Technology. In 2016 Stuart released his first cookbook, “The Quick Six Fix,” which offers no-fuss recipes that are full of flavor. He has also starred on Irish television in “Stuart’s Kitchen,” and on Food Network’s “Private Chefs of Beverly Hills,” as a judge on “Chopped,” and as a featured chef on OWN’s Home Made Simple.